When your patient feels that their custom-made orthosis is uncomfortable, they simply will not wear it despite its necessity for optimum recovery. Use these ten tips to make an orthosis that is supportive and comfortable so that your patient will stick to the wearing schedule as outlined and optimise their recovery. Choose the most appropriate material thickness to match the intended target. Whenever possible, select the lightest material to do the job. Consider the size of the anatomical part that needs the orthosis and the material characteristics to make this choice. for wrist orthoses or elbow orthoses, choose 3.2 mm (1/8”) thick materials, e.g. Orfit NS or Orfit Eco. Make an accurate pattern that matches the exact size and shape of the patient’s extremity. This will save you time and effort while fabricating the orthosis, and it will guarantee that the orthosis is appropriately designed for the patient. Having to stretch the material to fit, in case you did not cut it large enough. Having too much material, which can cause wrinkles. While fabricating the orthosis, be careful not to hold any one part of the orthosis in place for more than a few seconds. Each time you press into the material, you may create a pressure point which will ultimately press onto the patient. 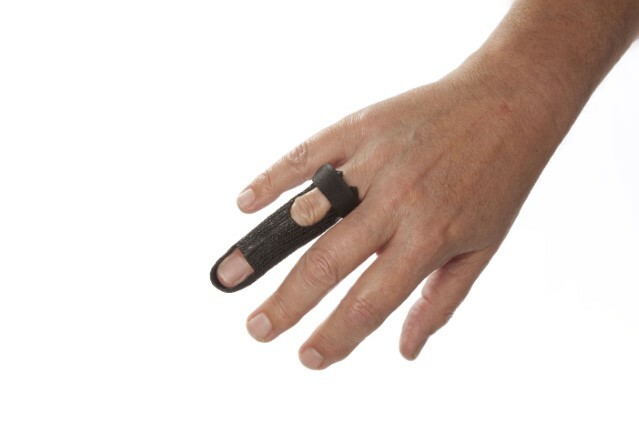 Try using the pinch method of circumferential orthotic fabrication to allow your hands to be free of holding the material in place, and available for positioning. After the fabrication is complete, assess the fit of the orthosis on the patient’s hand. Are the straps long enough? Are they placed in the proper places for a secure fit? Does the orthosis slide around on the patient’s arm? If it does, trim a bit more off the sides so that the straps secure the orthosis more effectively. Round off all corners and smooth all edges so there are no sharp parts that might hurt during donning and doffing of the orthosis. Round off the edges for a smooth finish. 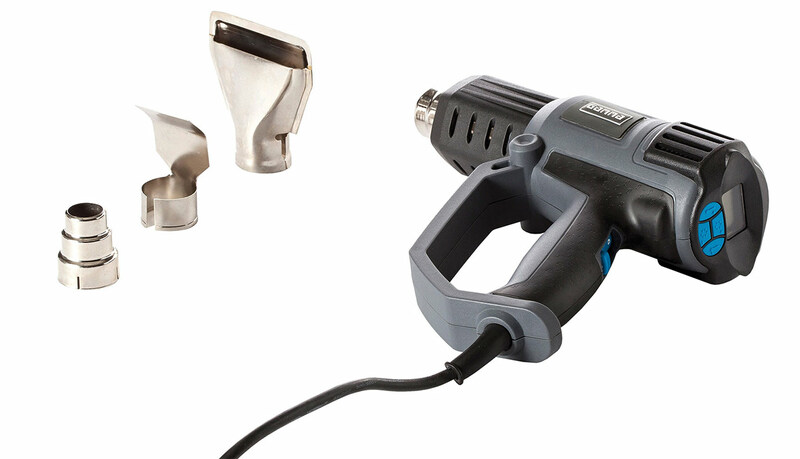 Find the perfect tools to finish your orthosis here. Are there any red marks along where the edges of the orthosis hit the forearm? Briefly stretch the material open to enlarge the sides or reheat the edges with a heat gun and flare away from the arm. Does the orthosis place pressure over the bony prominences? In particular the ulnar head? You can prepare this area by first placing Theraputty or a small scrap of thermoplastic material on it and then fabricating the orthosis on top. After hardening, remove the putty or scrap of material from the inside of the orthosis, thereby creating a small enlarged area. Put some lotion on the putty or use a coated scrap of material to prevent sticking. Alternatively, you can heat this area up with a heat gun and flare the material outwards with your thumb. Make sure to keep your thumb in place until the material hardens. Otherwise, the heated area will collapse and cause even more pressure on the bone. Use lipstick or a red marker to draw on the bony prominences. After moulding the orthosis, these marks will show on the inside of the orthosis, indicating where you need to make adjustments. 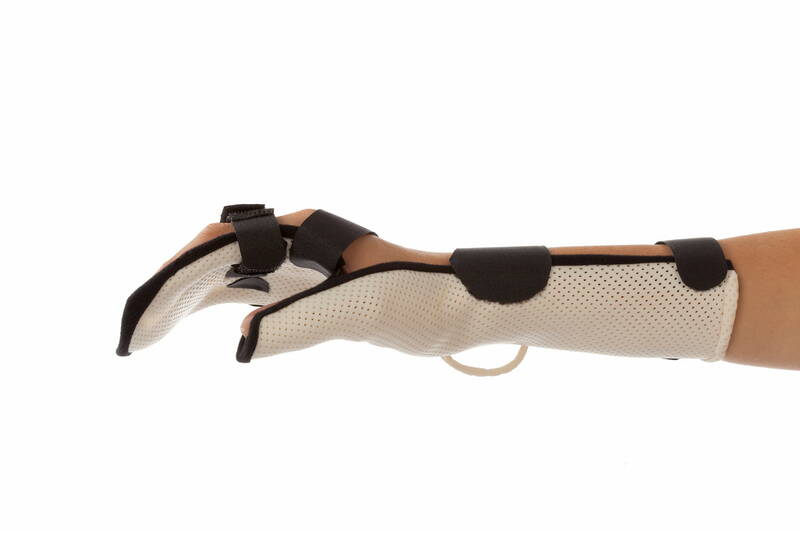 Forearm based orthosis – the proximal edge should not hit the biceps muscle. 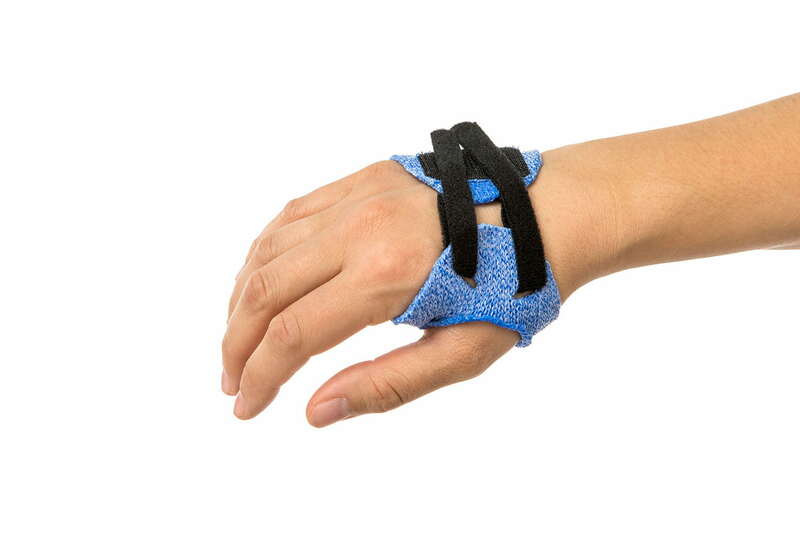 Hand based orthosis – the proximal edge should not impede wrist motion. For forearm based orthoses, the proximal edge should not hit the biceps muscle. 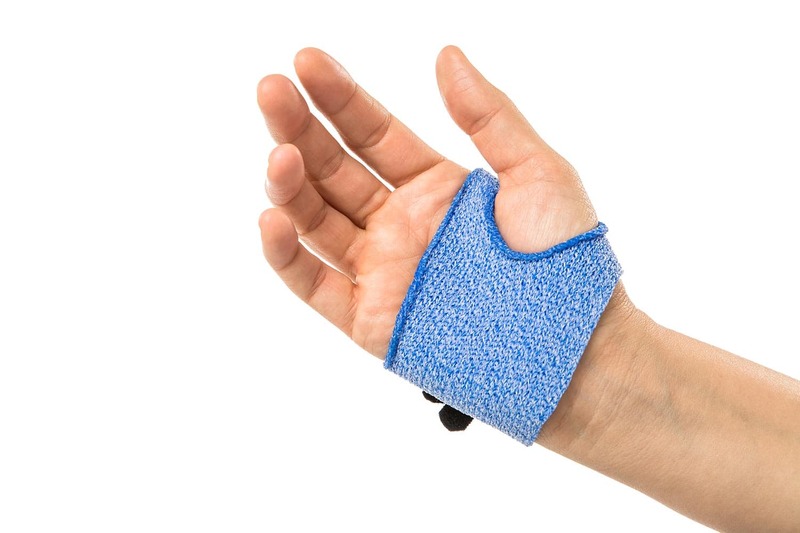 For hand based orthoses, the proximal edge should not impede wrist motion. Flare the proximal edge of the orthosis outwards slightly so that it does not dig into the arm. These considerations and tips will help you to fabricate an orthosis that is comfortable and helps your patient with his or her recovery. Taking the extra time to do these steps will show the patient that you care.